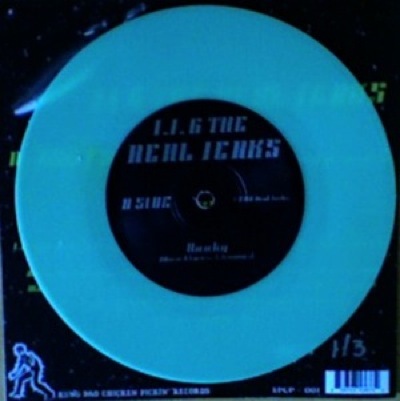 JJ & THE REAL JERKS - The Future is Now...(and it stinks)/Hooky limited edition 7" single on Glow vinyl. Recorded with Bradley Cook at Castle Productions Studios in February 2010. 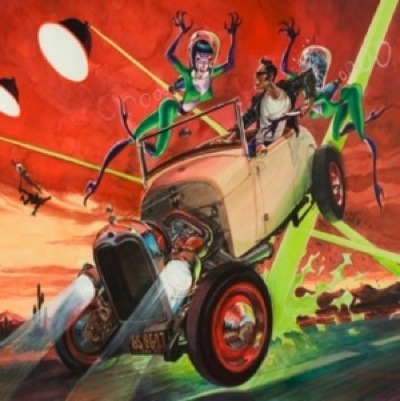 Cover art by El Segundo based surf/hot rod artist Damian Fulton (http://www.damianfulton.com). Hand numbered, only 100 copies pressed!